The Datalogic QD2400 2D imager was designed with retailers in mind to meet the market demand for outstanding omnidirectional reading performance on virtually all codes, but at an affordable price. Latest ergonomics creates a balanced lightweight enclosure without sacrificing Datalogic’s well-known durability. 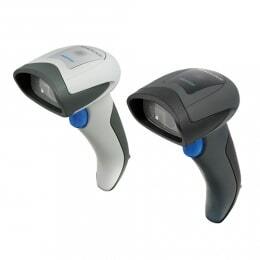 Ideally suited for applications at the point-of-sale (POS), the QuickScan QD2400 imager features a new illumination and aiming system developed to reduce visual stress of the operator during the daily scanning activities. It consists of a soft, dark red illumination combined with two blue LED triangles pointing at the targeted bar code. The result is a precise aiming system which contributes to low eye fatigue, yet still allows top operator efficiency.